Emily Kelsey is a 2015 graduate of the University of Houston-Clear Lake and is in her first year of teaching at North Pointe Elementary in Houston, TX. She teaches fourth grade and is currently working to obtain her Master’s Degree in Curriculum and Instruction at University of Houston-Clear Lake. 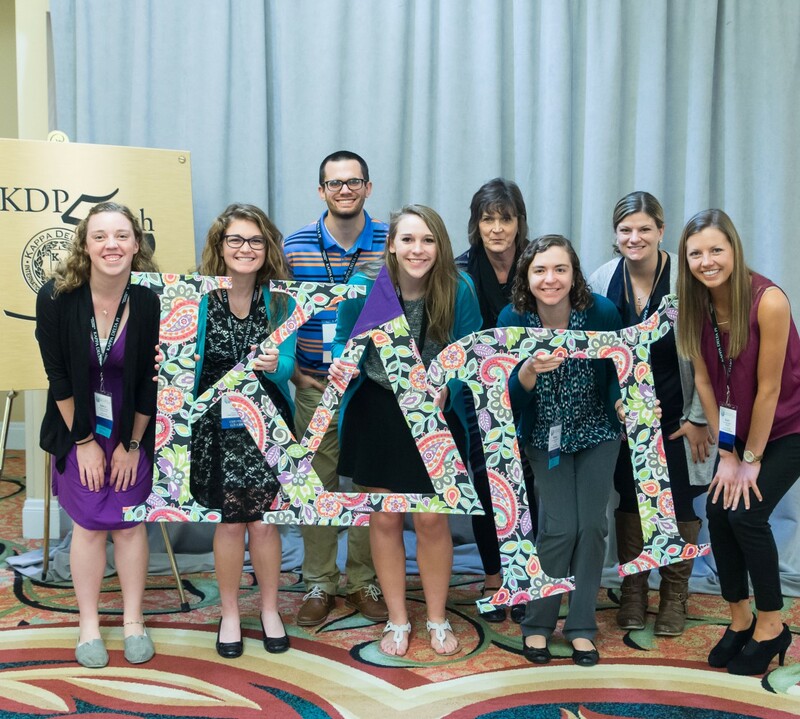 Emily is proudly in her second year of membership in Kappa Delta Pi and is excited to be featured; she invites you to tell your story, too! There are few situations that meet the qualifications of success in the eyes of a first year teacher. Constant failures meet me around every corner no matter how much effort I put into each day. Personally, as a first year teacher, I have found that nothing is exceptional enough to be placed in the self-praising memory bank except for that occasional student who decides to display a moment of weakness and justify my decision to become a teacher. There is one particular student that flashes to mind when everything comes crashing down and I am hypothetically grasping for any sign that teaching was the right decision. LaToya (whose real name has been removed for confidentiality purposes) became a part of my life one month after school had already begun. Cliques had been established and judgmental eyes screamed at her on the first day. This overwhelmed young lady knew immediately that this school was different than anything she had encountered yet. She was being placed into an environment that held students accountable for their actions and demanded—everyday—displays of good character. Not only was she asked to make new friends and start at a new school, she was also adapting to a life of moving around from one school to another for the past four years. Stability was foreign to her, so keeping up a tough image was all she knew. At first, she attempted to blend in and hide behind her shield of beaded braids, but her defiant attitude began to shine through after only a week. My students and I were worried for her and wanted to help her love school. Her learning gaps were masked with her determination to not complete work. She would stare at me for what seemed like hours before forcing me to address another student in the room. There was no reason for her to work hard. My goal was to find that reason. My classroom community had forced her to conform to our behavior expectations, and I soon noticed that she had mastered the skill of becoming invisible. It was much easier to do as she pleased without causing a scene. She would rush through assignments to complete them without a worry in her bones to quickly start playing a game on her tablet. Grades were not her reason. I continued to dive into her not-so-familiar world and discovered a variety of troubling things. She was sharing a room with four other kids in her new apartment situation and had a new male figure in her life. My determination was hitting a boiling point; I still had not found a single reason for her to put forth some effort into any assignment. I decided to sign her up for a high school pal to visit every Wednesday to play volleyball with her, and we arranged regular meetings with the counselor. I was eager to find something that she gravitated towards. Some progress was being made, so I figured relationships might be her reason. By January, I felt that she was evolving into a sweet young lady, but her lack of motivation persisted. Then she asked me a peculiar question after school one day, “Mrs. Kelsey, can I stay after school for a little bit and help the Tidy Crew wipe down all of the desks?” I paused for a moment out of shock, but quickly granted her permission. She wanted to clean for me, she wanted to be part of something, and she wanted to be involved in our classroom community. Somewhere along the way, I had gained LaToya’s trust and respect. She wanted a relationship with someone who cared about her success. Now we have each other and seem to get along. She no longer has a bad attitude with me and will give full effort for the first few minutes of each assignment. Progress is progress, and as a personal critic, I am determined to continue that progress. Being a teacher represents more than teaching lessons and taking grades, it is about lifting students up and helping them realize that they are important to you.